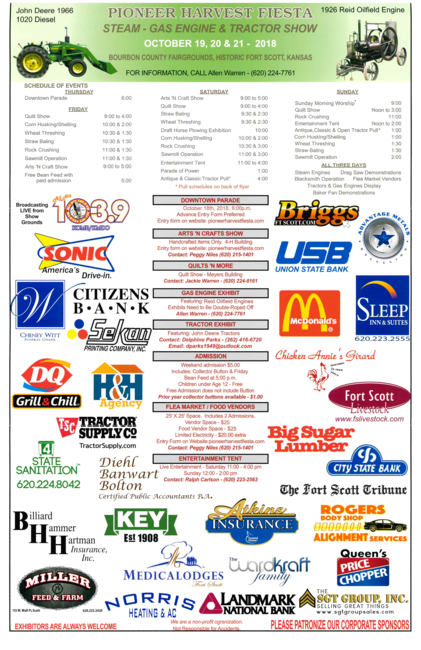 The Fort Scott Area Chamber of Commerce invites you to come out this weekend for the Pioneer Harvest Festival. Activities for everyone, all weekend long! See flyer below for Calendar of Events.